CANCER : The name seems to be deadly now a days as cancer is the reason for maximum number deaths worldwide. According to the data collected by different agencies who are in involved in research work of cancer estimated that in 2007, 13% of deaths(approximately 7.9 million) are caused by cancer worldwide and these death rates are climbing even more as the mass lifestyle is changing at very fast rate due to changes and developments prevailing in society. What kind of devil is this??? Cancer involves a wide group of diseases in which involves growth of cells in an abnormal fashion. It is also known by its medical name that is malignant neoplasm. Cancer is a situation in which cells divide rapidly and sooner they lost control over their cell multiplication and form a lump of uncontrolled cells that is known as tumor and these tumors can also attack the nearby organs by invading them. Tumors may also invade or enter into far flung body parts through blood stream. As stated above cancer is a wide group of diseases and it does not grow at once. It does not spread to other parts of the body in early stages but it may spread if cancer is not diagnosed at early stage. There are more than 200 different type of cancer that can affect us. These may include lung cancer, breast cancer, ovarian cancer, blood cancer, prostate cancer and much more. Now the question arises that how cancer is caused? The causes of cancer are partially known to us. Its very complex to exactly state the cause of cancer but there are so much things which are supposed to increase the risk of cancer such as obesity, very less physical activity, chewing of tobacco, prolonged exposure to sunlight, exposure to radiations and environmental pollutants such as emissions from motor vehicles and factories. All these stated factors can increase the risk of cancer by causing cancerous mutations in our genes by manipulating them. Many cancers can be prevented by taking care of small small things like not to smoke, to eat as many as vegetables and fruits, minimizing sun radiation, to exercise daily, taking food full in whole grains, avoiding fried dishes and minimization of meat and non-veg food. 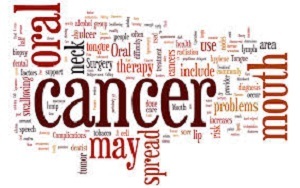 However cancer start taking its place silently but we can take care of ourselves by keeping in mind the symptoms of cancer so that it can be diagnosed at early stage and we can protect ourselves from this dangerous curse. Some general symptoms of cancer can be sudden loss of weight, formation of lump on and inside the body, bleeding from open holes of body, loss of appetite, dizziness, prolonged coughing and any sort of unwanted pain in the body. Cancer can be predicted by these symptoms and after this we must go for whole body screening and medical imaging. In this whole of body is examined and if any sort of cancer is detected it is then diagnosed by carrying out biopsy in which cells of infected tissue are observed under microscope and behavior of these cells can further led to the treatment of cancer. Cancer is usually treated with the techniques radiation therapy, radiotherapy, chemotherapy and surgery. There are a very few patients also which are cured with the help of Ayurveda treatments. We cannot predict the chances of survival for this deadly disease or we can say deadly curse as the chances vary according to the extent of tumor or cancer and also the location of disease.